Heat oven to 375°F. Spray 2 cookie pans with cooking spray. Mix the flour, ground almonds, and cardamom together in a bowl and stir into the butter mixture. Add the milk and stir until dough holds together. Roll the dough into 1-inch balls. Flatten balls to about ½ inch and dip one side in powdered sugar. Place cookies powdered side up on prepared pan. 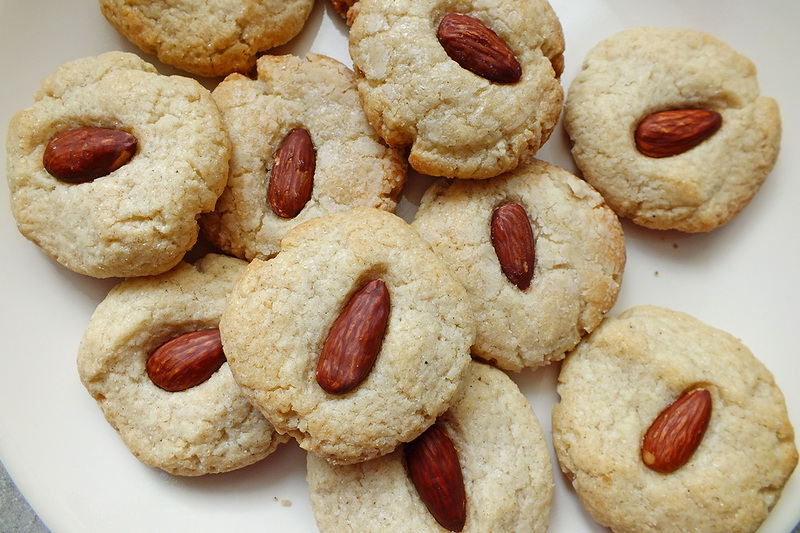 Press an almond into the top of each cookie. Bake for 18 minutes or until golden brown.